Home » Our Doctors » Harin Rajeev, O.D. Dr. Harin Rajeev, OD, has been a native of New Jersey for past 35 plus years. He grew up in Edison, NJ and received his undergraduate degree in Biology from Rutgers University in 1997. He then received his Doctorate in Optometry in 2002 from Pennsylvania College of Optometry. He has been actively practicing optometry in New York and New Jersey for 16 yrs and has been practicing in Princeton since 2010. Dr. Rajeev’s focus has been to educate his patients on both their ocular and visual needs. A patient that thoroughly understands their visual and medical status will be in a better position to take care of their needs. Dr. Rajeev believes advances in technology should be used for the benefit of all patients. All patients receive a digital eye exam which provides a precise prescription and can pinpoint changes in your eye health over time. Advances in digital imaging can be used to detect asymptomatic retinal problems, glaucoma, and even dry eye. 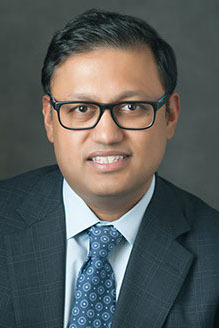 Dr. Rajeev’s professional areas of interest includes myopia management using Orthokeratology lenses, custom fit contact lenses using rigid gas permeable lenses and scleral lenses. He also treats chronic eye conditions such as dry eye and blepharitis using the latest in advances in technology such as LipiFlow and Blephex treatments. Dr. Rajeev specializes in fitting patients with Ortho-K lenses.